Before we could continue, however, we would have to wait until a temporary roadblock was cleared. 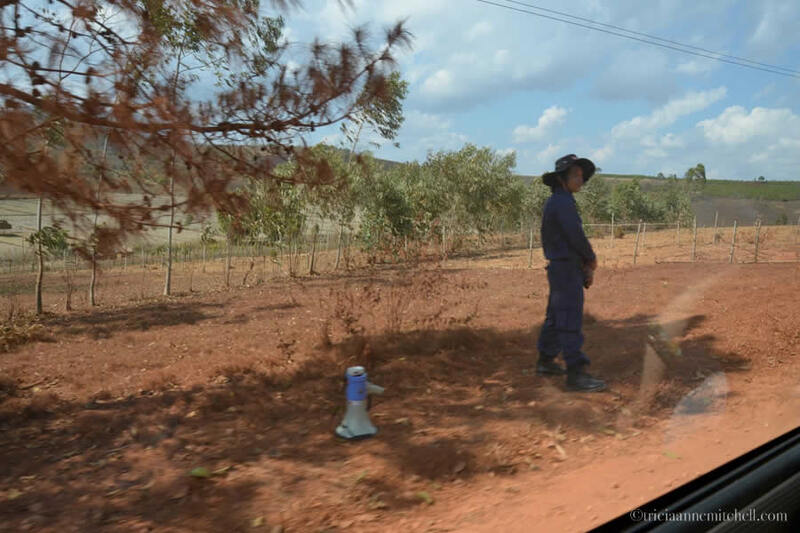 A Laotian man with a grey megaphone in hand motioned for our vehicle to stop. 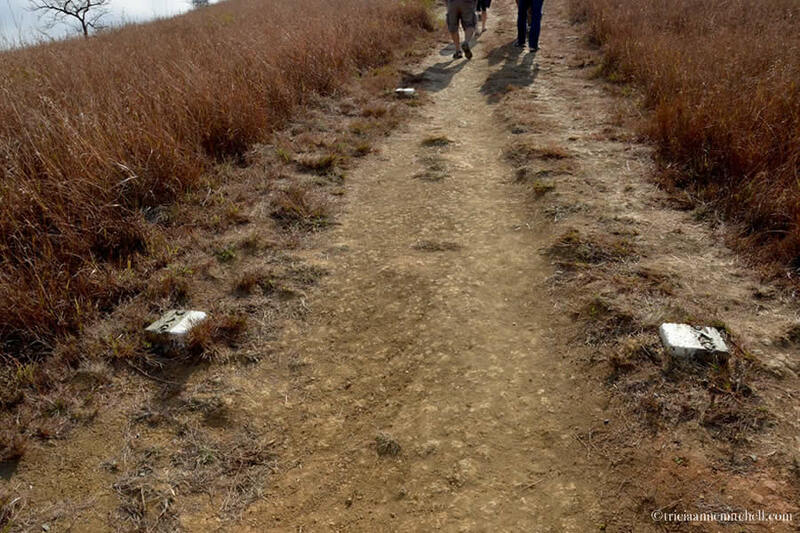 Our guides explained that it was a safety measure, as the man’s teammates working out in the nearby countryside had likely encountered a piece of unexploded ordnance (UXO). About a minute passed, then we heard a thunderous explosion in the distance. As the rumbling noise settled, and the area’s serene soundtrack returned, we were told the good news: a piece of UXO had just been successfully destroyed. The man on the roadside ushered our driver to proceed, and as our van rumbled ahead, the dirt road’s red dust danced in the air. Everyone in the van was quiet. I had goosebumps, thinking about the triumph of that moment, contrasted with all the tragic accidents that had come before it. Thirty percent of the cluster munitions used (also known as ‘bombies’), failed to detonate. 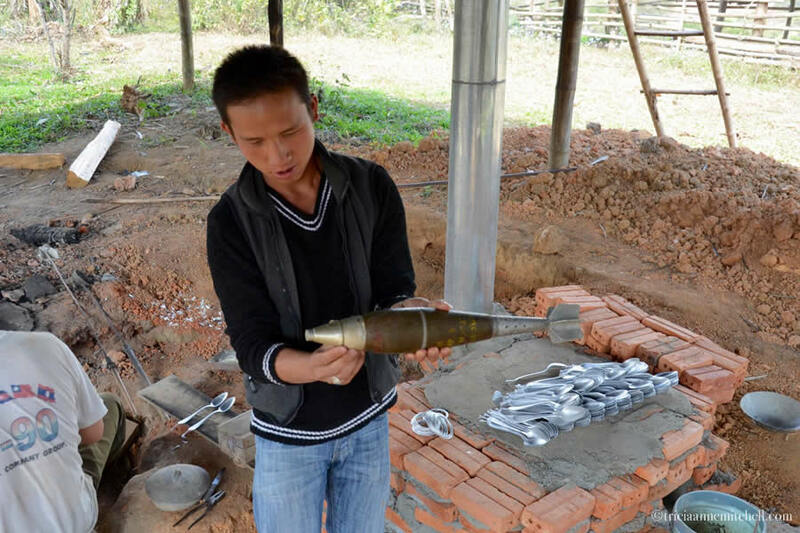 Tragically, it is often Laos’ youngest and poorest citizens who are still killed and maimed today when coming into contact with this UXO. Accidents also occur as citizens try to ready land for farming. Scrap-dealers, trying to make a living from the plethora of war scrap are also at risk. So too are children, attracted by the shiny, metallic appearance of the bombs. According to the book, Eternal Harvest: The Legacy of American Bombs in Laos, there have been 20,000 deaths and injuries since the end of the Vietnam War. As we would learn, there are many dedicated people and organizations working in Laos trying to make all the country’s land safe again. It’s estimated that 60% of the Laotian population lives on less than $2 USD/day. With that statistic in mind, one can imagine why the prospect of war scrap collection can be appealing. 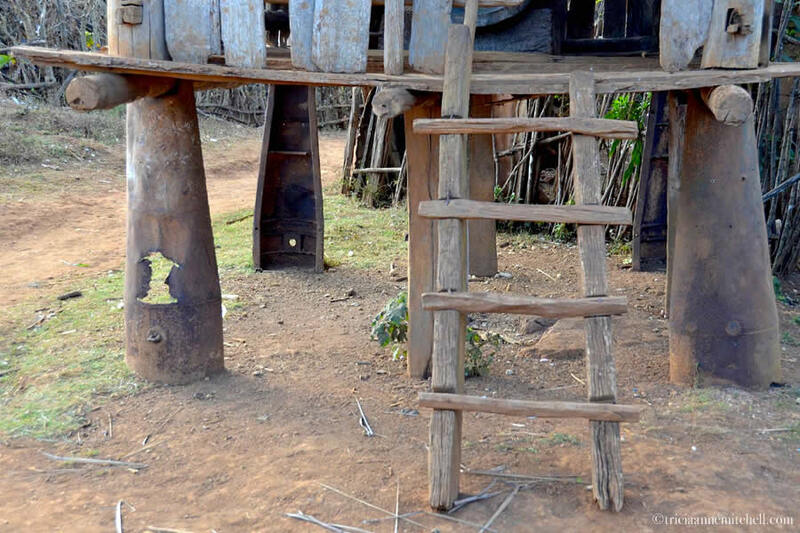 Resourceful Laotians gather it either to swap it for cash, or repurpose it into utilitarian items such as herb planters, animal troughs, fences – even supports for stilted homes. 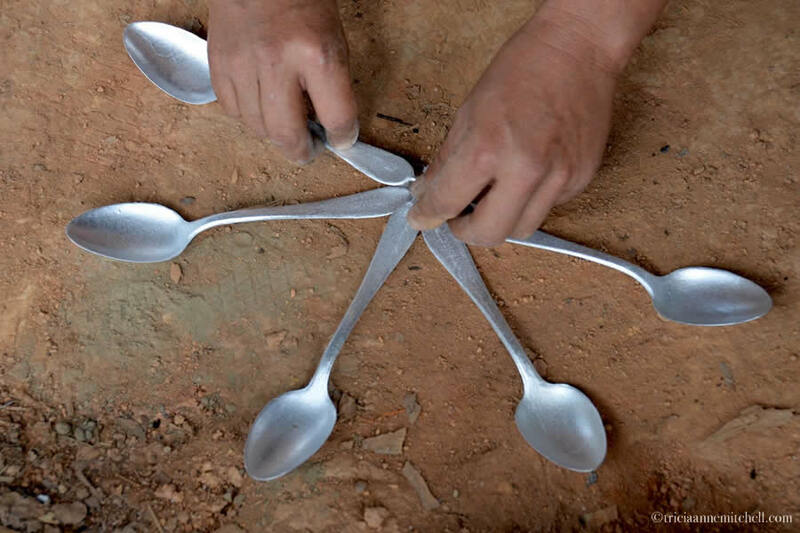 Perhaps the most unique use for war scrap that we’d see was as material for spoons, bracelets, and decorative charms. 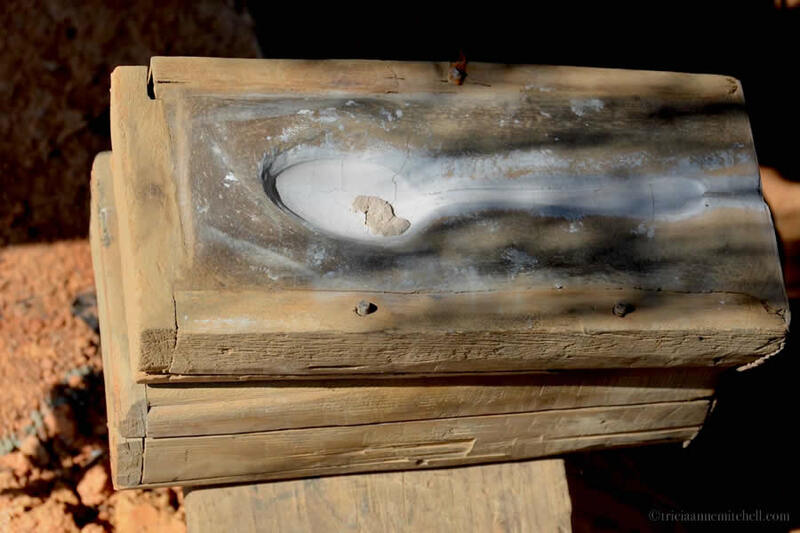 In the so-called ‘Spoon Village,’ we watched as a good-natured Laotian man extracted metallic liquid originating from a melted bomb tail, poured it into a wooden mold, let it harden and cool, and then unveiled a glimmering spoon. At the end of the visit, we swapped a handful of Laotian Kip (the equivalent of a few U.S. Dollars) for a trio of these homemade spoons. 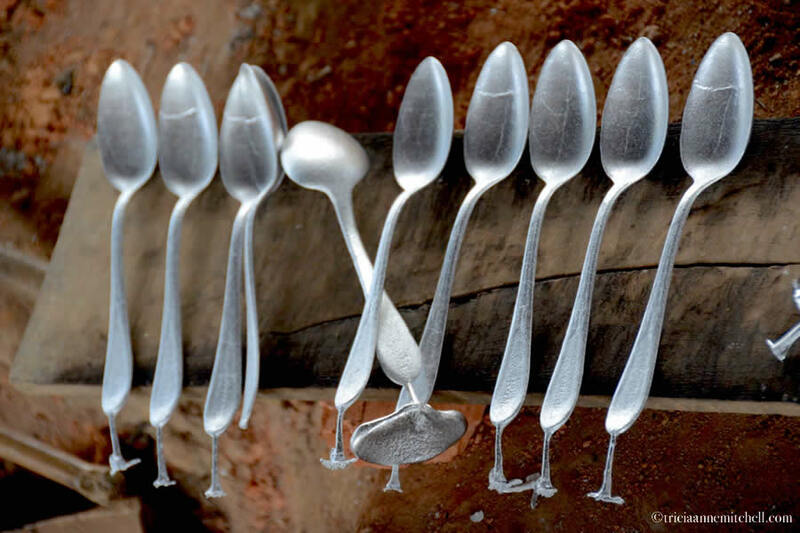 We were reassured to learn that an organization had tested the metals for safety, not because we’d planned to eat with the spoons, rather because we were concerned about the man who works with the molten metal on a daily basis. Apparently, the agency’s tests showed that it was not harmful. 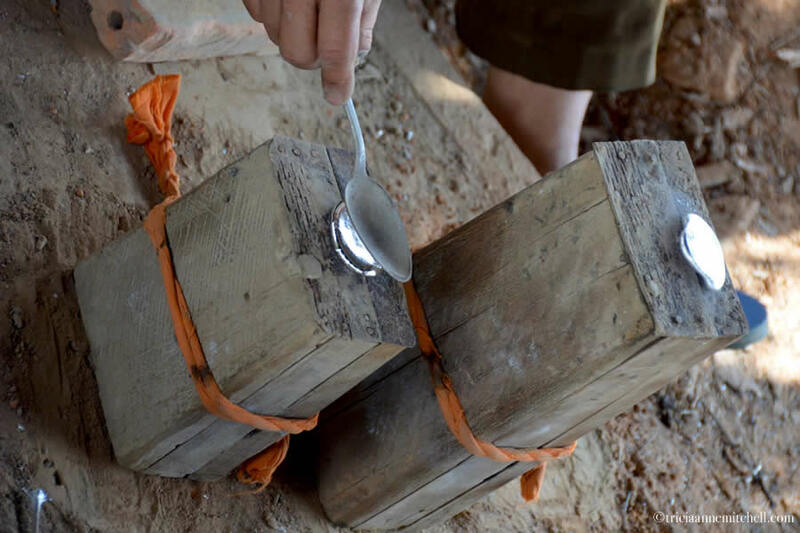 Additionally, we heard that the war scrap used for the spoons had not been collected by an independent war scrap collector who could be putting himself at risk; instead, it had been given to the Spoon Villagers by organizations after it had been disarmed. (Update: Despite the reassurance we were given, it’s important to note that the practice of transforming bomb scrap metal into other items is controversial. Several organizations, such as the Lone Buffalo Foundation, instead encourage a policy of Haam Jaap (don’t touch). 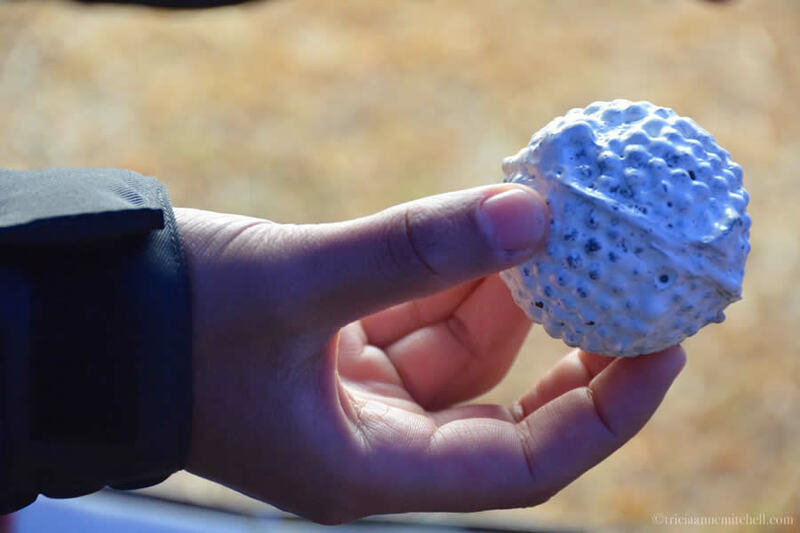 This UXO awareness video, produced by Lone Buffalo students, highlights these dangers. Situated in a remote region of Laos and eclipsed by enchanting Luang Prabang’s gleaming temples, the Plain of Jars are often regrettably left off of one’s list of places to explore while in Laos. 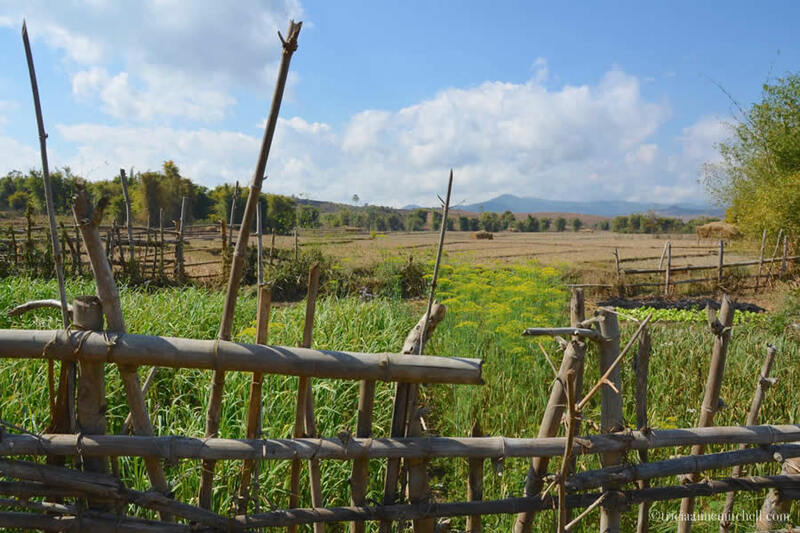 The fields on which the jars are strewn are challenging to access by land, given Laos’ poor, mountainous roadways. 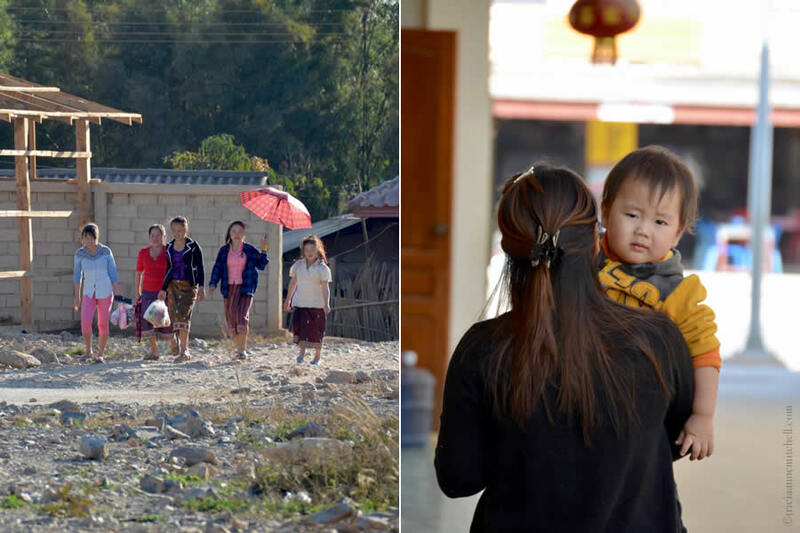 And, to make matters worse for those in this region so hungry for tourism, Xieng Khouang was one of the worst-hit provinces during the so-called American ‘secret war’ in the country. Instead of arriving via the Phonsavan Airport as many visitors do, we came overland via a remote and mountainous Vietnamese / Laotian land crossing. Welcomed into Laos with heartily spoken ‘sabaidees,’ our route from the border to Phonsavan consisted of serpentine roadways framed by lush foliage, stunning views and steep drop-offs. 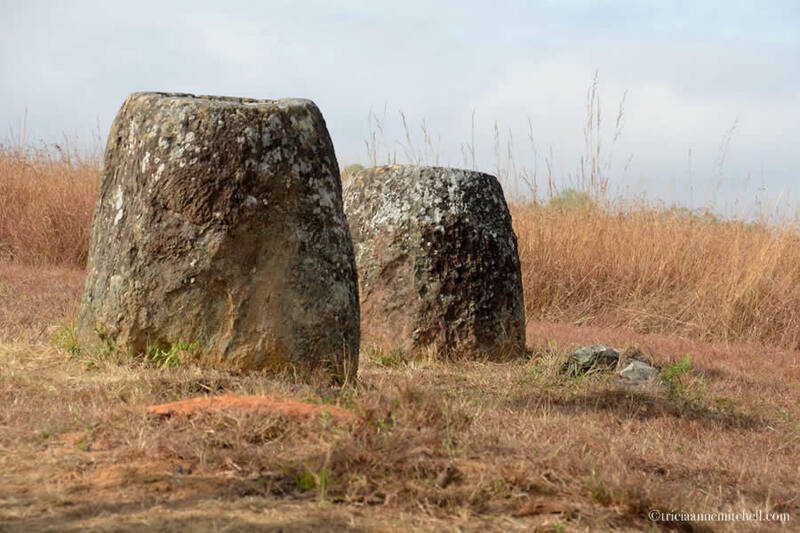 No one is certain why the megalithic jars – thousands of them – are scattered about the Laotian landscape on approximately 90 different sites. One legend is that they were made to brew rice wine to celebrate a triumph over barbaric leaders. More recent studies have concluded that they were burial urns. The jars are believed to date back to between 500 BC and 200 AD. 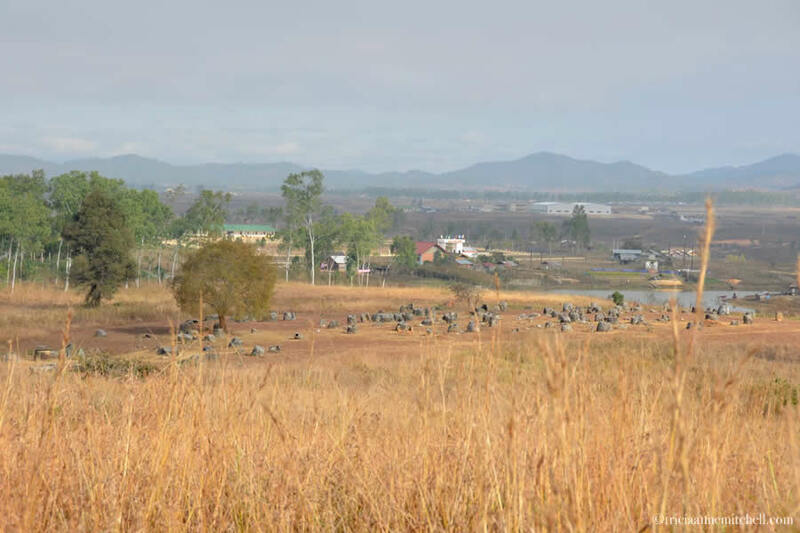 Only a handful of the 90 jar sites have been cleared of UXO, thanks to admirable clearing work completed by NGOs and their Laotian male and female employees. Some funding has been provided by international development agencies too. 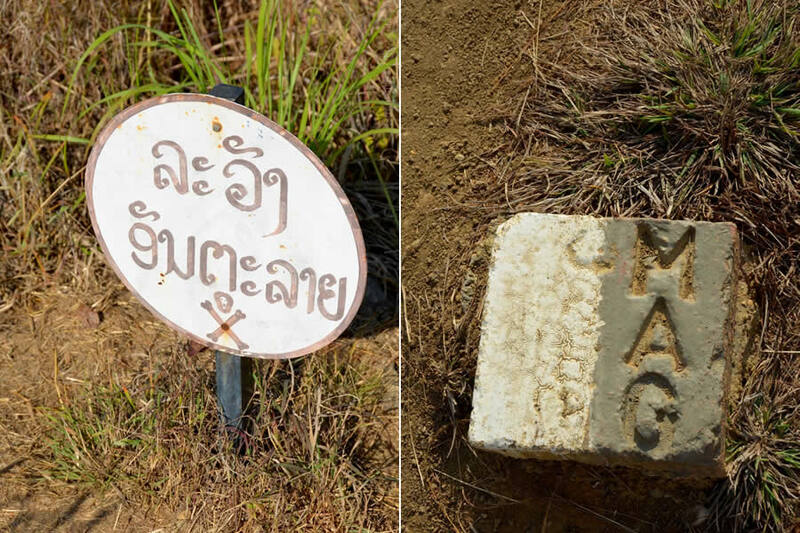 While in the Phonsavan area, our guided day trip to the Plain of Jars and Spoon and Bomb Villages were coupled with independent excursions to the province’s former capital, UXO education centers, and even a morning spent shadowing a Japanese team training to clear UXO. 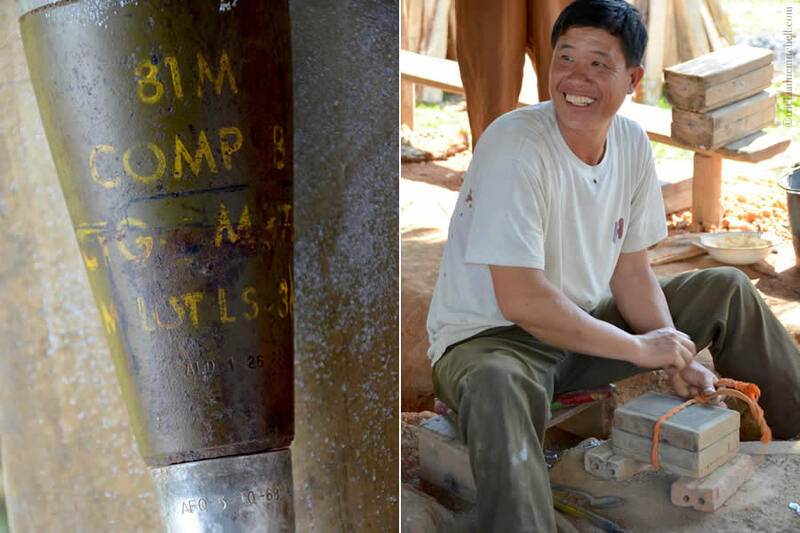 These experiences filled us with the greatest respect for the resilient citizens of Laos and the fearless men and women working hard to rid it of UXO. In fact, our days spent in the quiet province of Xieng Khouang provided many of our Southeast Asian trip’s highlights. 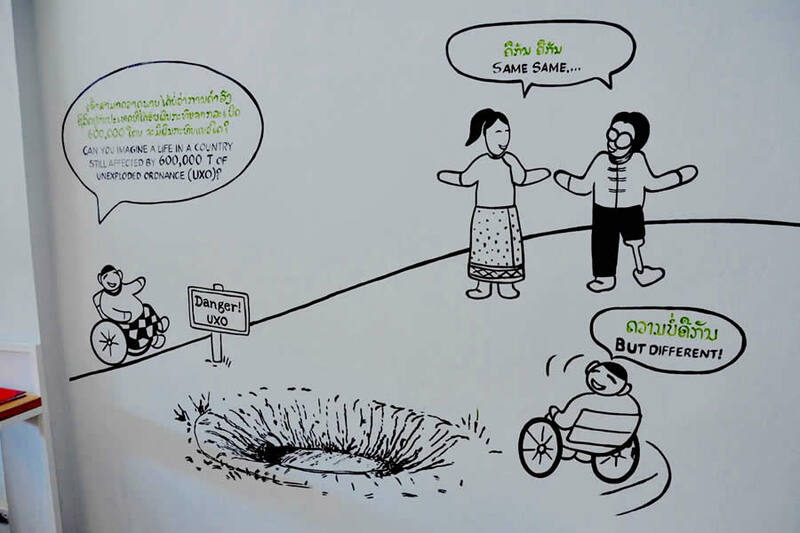 To learn more about how to help make Laos free from UXO, and to see Shawn’s video, please continue to the bottom of this post. A man on the roadside tells our vehicle’s driver to stop, as a bomb-clearing team successfully detonates a piece of unexploded ordnance (UXO) off in the distance. Laos is, per capita, the most heavily bombed country in the world. The country was bombed largely to disrupt traffic on the Ho Chi Minh Trail during the Vietnam War. 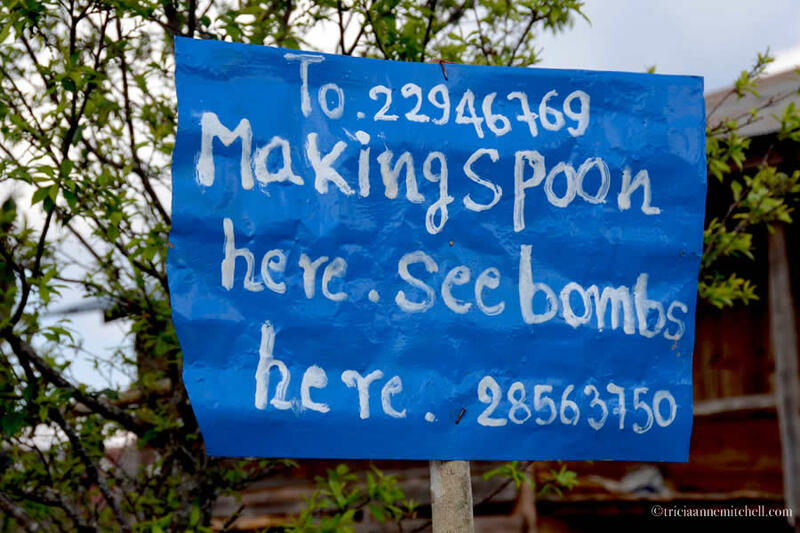 A makeshift sign in front of a home in Ban Naphia Village advertising spoons for sale. 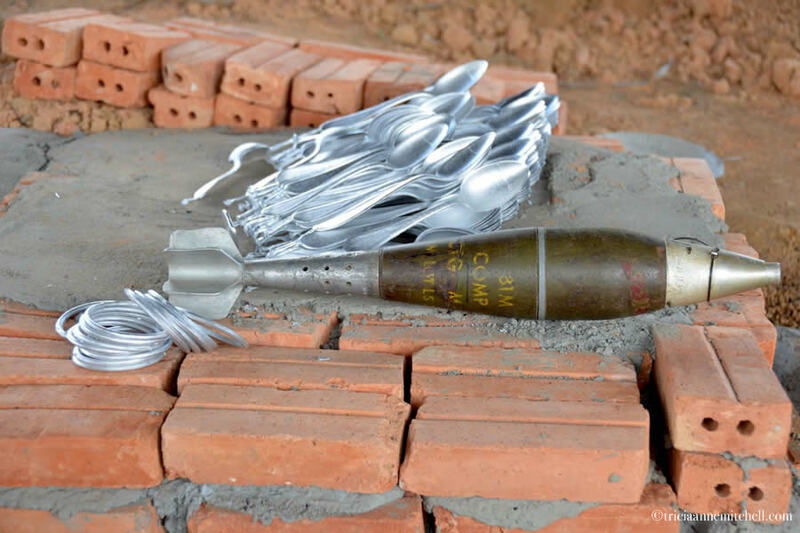 The utensils are unique in that they were fashioned out of repurposed war scrap from American bombing raids during the Vietnam War. Our local guide holds an 81 mm mortar round, with newly-made spoons in the background. A tool of war (left) and the contagious smile of a man preparing to unveil a newly-minted spoon (right). Putting the mold into the fire, as finished spoons cool on the shelf beside him. 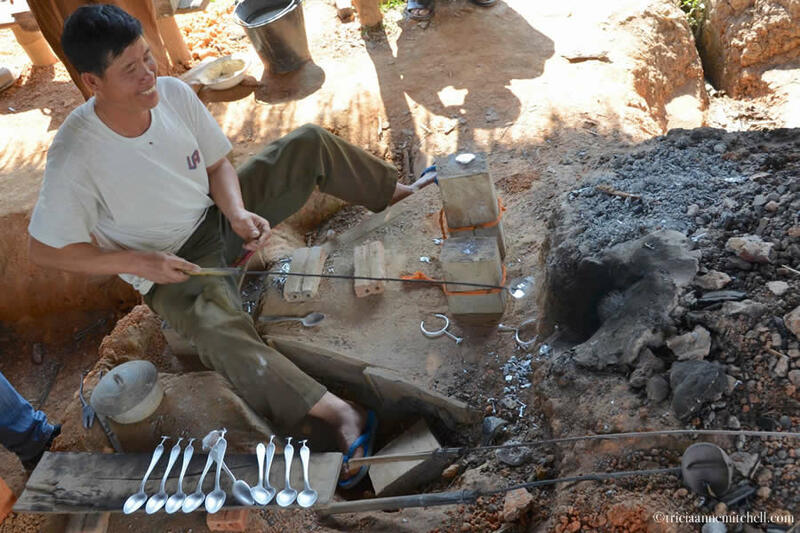 Laotian locals not only sell spoons made out of bombs, but also bracelets, chopsticks, and even ornamental trinkets in shapes such as fish. We purchased souvenir spoons for ourselves, as well as our parents. Ensuring the liquid metal is setting appropriately inside the mold. 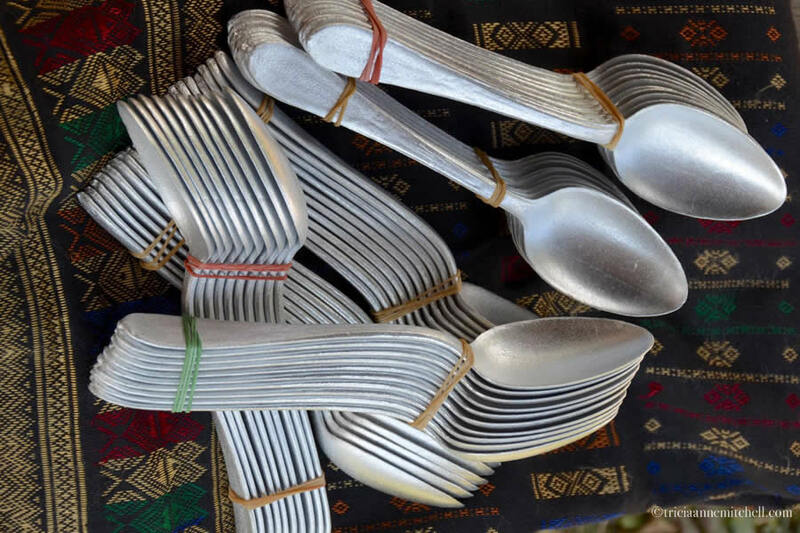 Bundled spoons, ready for purchase, are displayed on a traditional piece of Laotian fabric. Our host gets creative, fashioning spoons into new configurations. 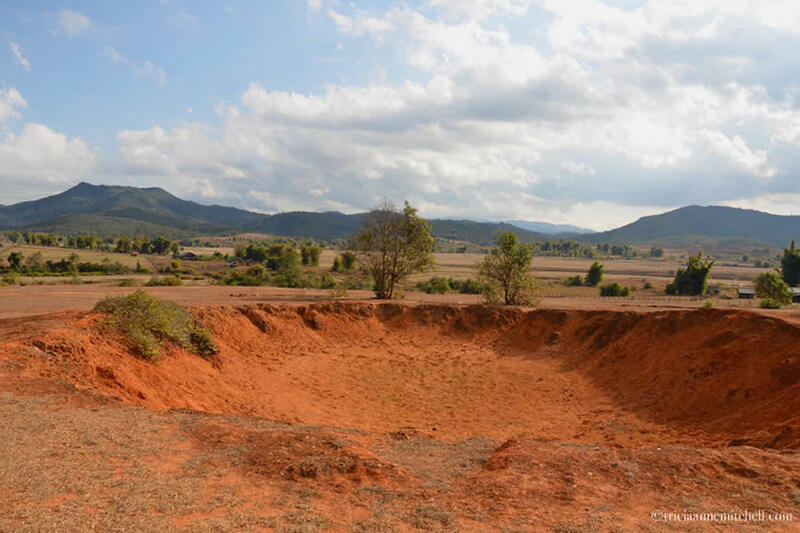 Bomb craters dot the Laotian landscape. It’s estimated that one planeload of bombs was dropped on the country every eight minutes, for nine years. 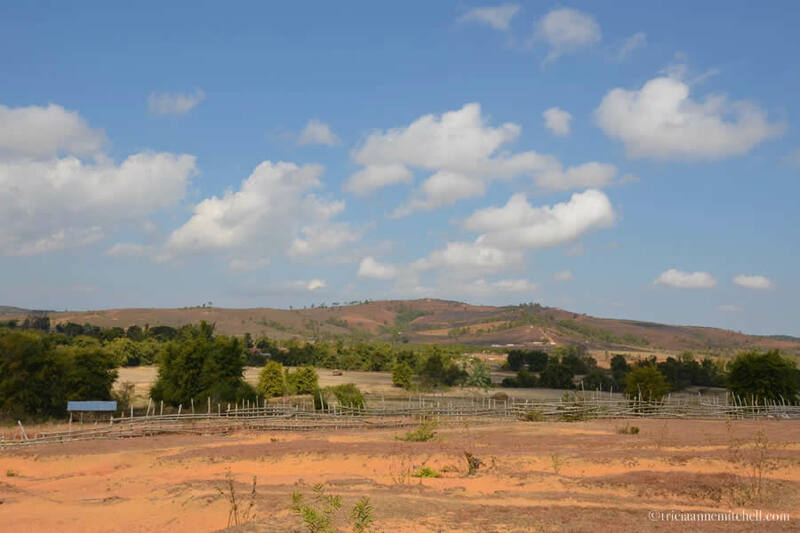 Off in the distance: Plain of Jars Site 1, where more than 300 prehistoric stone megaliths dot the landscape. The jars’ origins are mysterious. 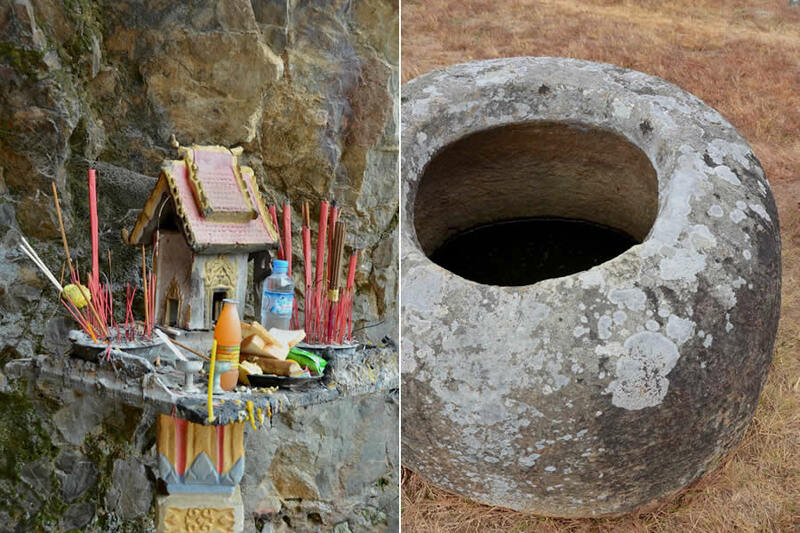 Some think that they were burial urns, while others theorize that they were carved to brew and hold large amounts of alcohol, known locally as Lao Lao. 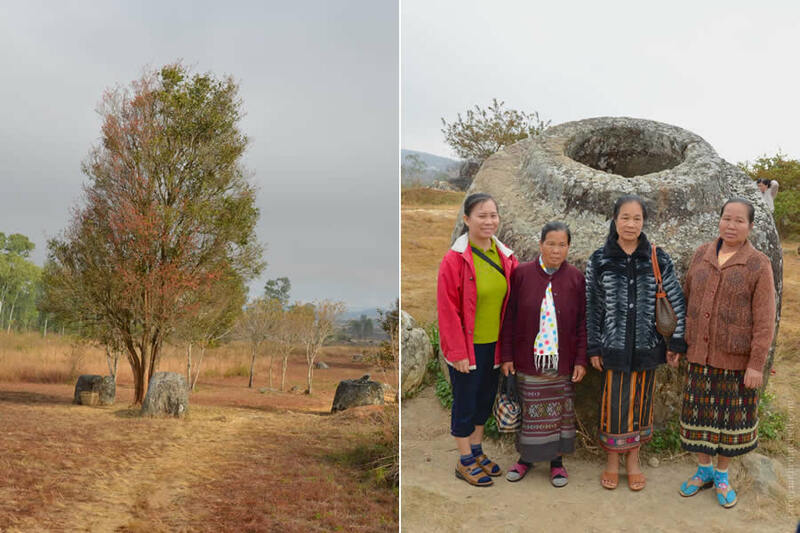 There is hope that the Plain of Jars sites may someday be inscribed on the UNESCO World Heritage List. Unfortunately, the site was heavily bombed during the Vietnam War. There are 90 such jar sites in the area, but only a handful have been cleared. 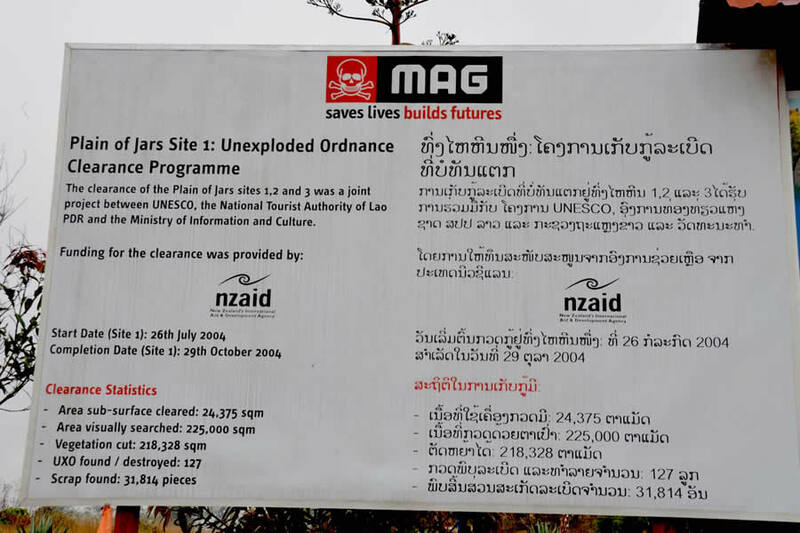 A sign at the site’s entrance highlights that 127 pieces of UXO were found and destroyed at this jar site alone! Signs informing visitors of safe and dangerous zones. The MAG marker on the right, installed by a nonprofit, the Mines Advisory Group, is white – indicating that the soil’s sub-surface has been thoroughly cleared of UXO. On the contrary, red markers symbolize that only the area’s surface has been cleared of UXO. Staying between the lines. As we explored the site, while mindful of the markers, I couldn’t help but think of the locals who regularly work in unmarked fields despite the possibility of such mortal danger. Ladies, sporting vibrant-colored traditional skirts, called sinh. It’s believed that the jars were placed here about 1,500 to 2,500 years ago. A spirit house (left) located near the Plain of Jars Site 1, and a jar interior (right). Having just been to Vietnam prior to arriving in Laos, we had a colorful bundle of incense that we’d picked up from a roadside vendor near Hué. We thought this was a fitting place to burn the incense. Today, it’s rare to find a jar with an intact lid, as many were apparently broken or cracked through the ages. Some of the jars are up to nine feet tall (2.7 meters). 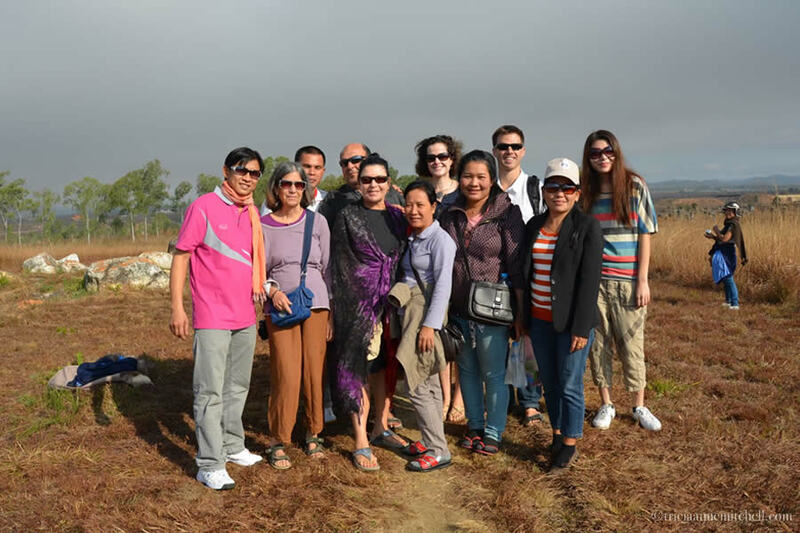 Our group, comprised of travelers from Hong Kong, Israel and the United States, poses with domestic tourists. 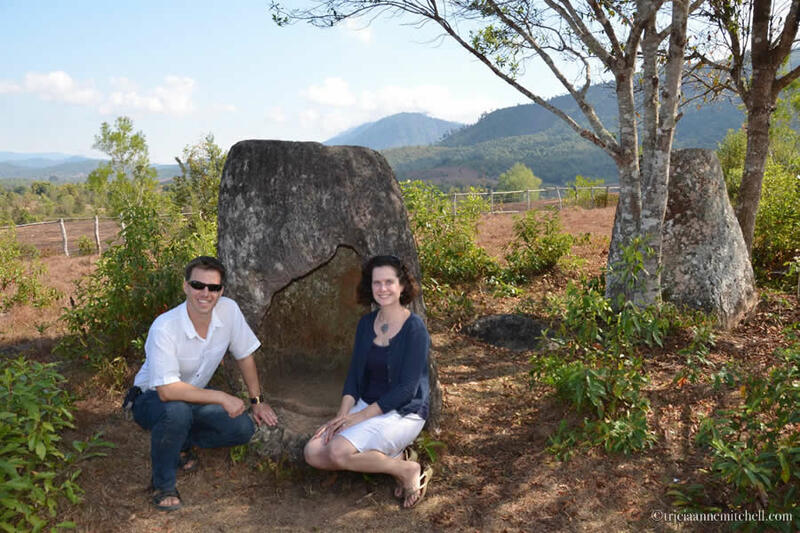 Next, we journeyed to the Plain of Jars Site 3. It’s known for being more picturesque than its counterparts. 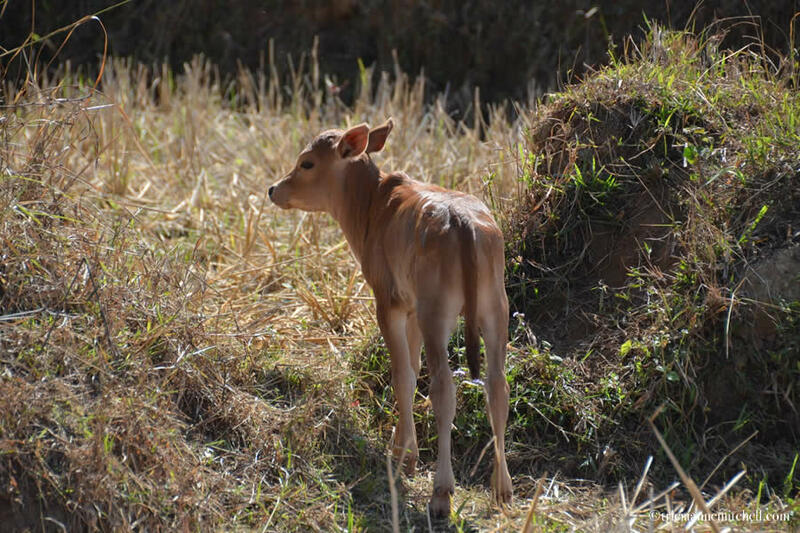 The area is surrounded by rice fields, rolling hillsides, and livestock. 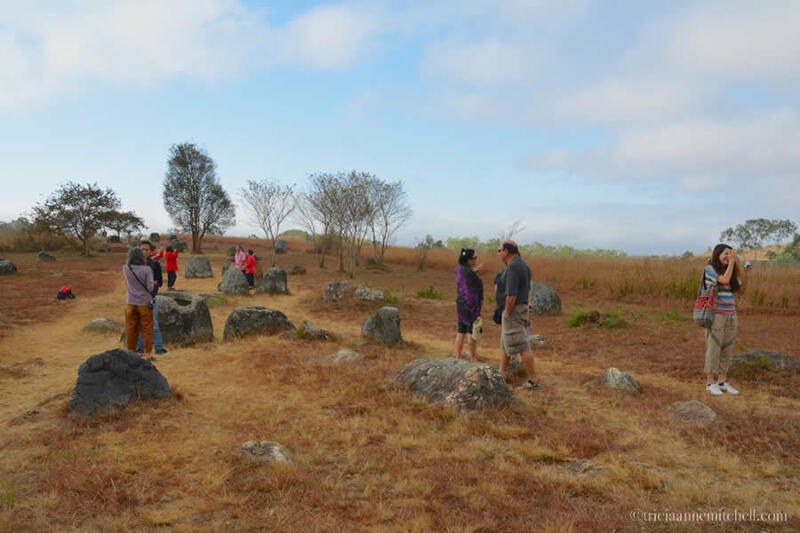 The more intimate Plain of Jars Site 3. After a tasty noodle-soup lunch, we made a brief stop to watch traditional Laotian whisky being made by this woman (left). 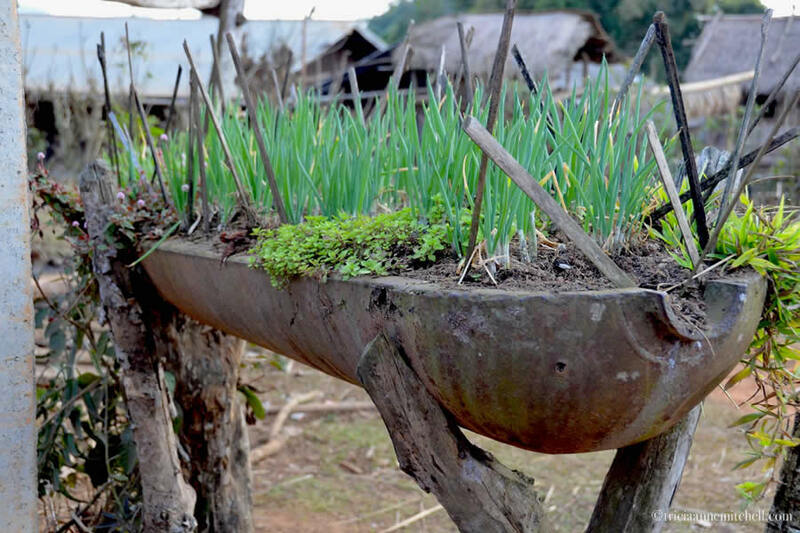 Villagers in the so-called ‘Bomb Village’ use cluster bomb casings as planters for vegetables and herbs, as makeshift fences, and even as posts for their stilted homes. On the right, a pet monkey tethered to a bomb casing. 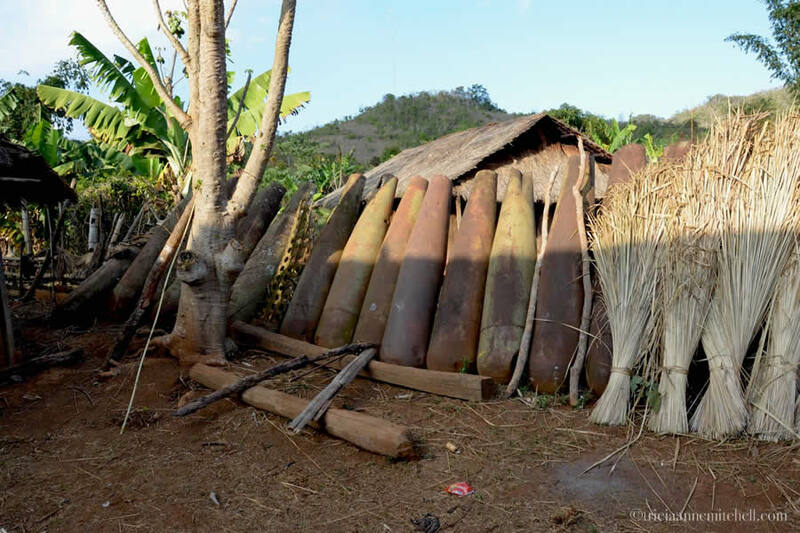 Cluster bomb casings used as posts for a stilted home. A makeshift fence made of bomb casings. About 30 km. 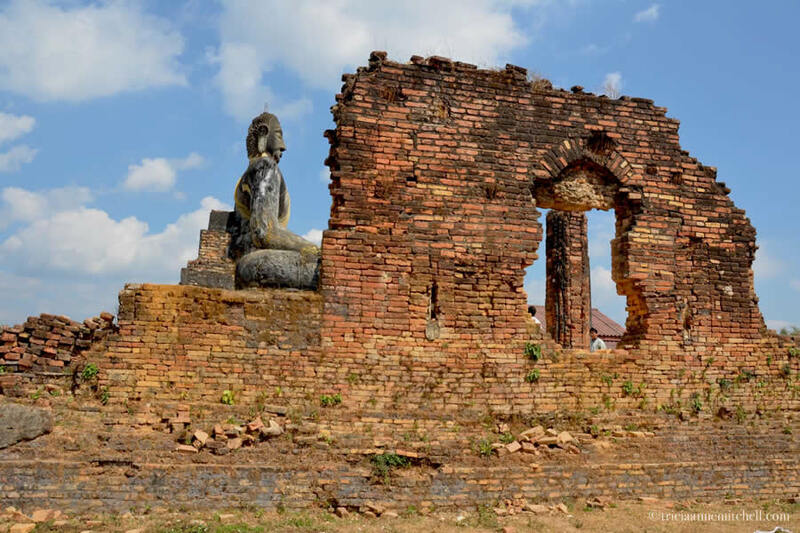 (20 miles) from Phonsavan in the town of Muang Khoun is Wat Phia Wat, a Buddhist temple destroyed by the French during the first Indochina War in 1953, and again during American bombing raids in the 1960s. Worshipers continue to pray at the enduring Buddha statue, even today. Miniature Buddha figurines sit in the palm of the giant statue. 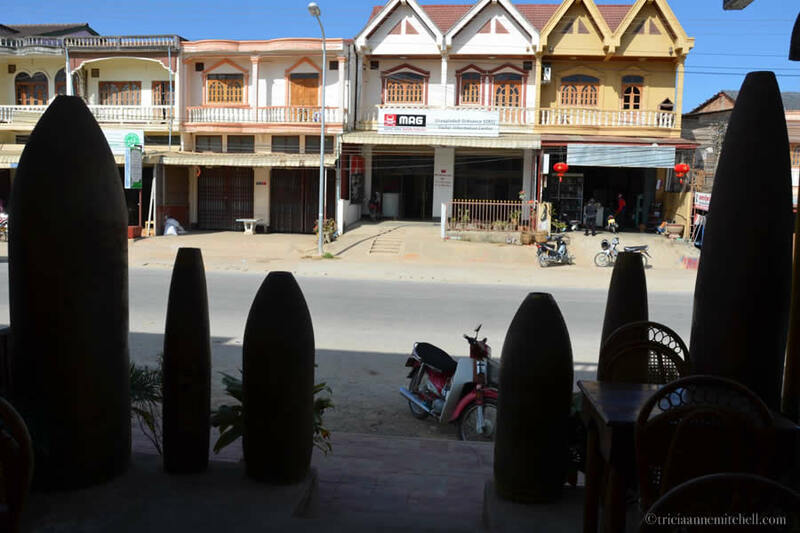 Phonsavan’s main street, with silhouettes of bomb casings in the foreground. The MAG Center in Phonsavan offers visitors the chance to better understand the types of bombs that were dropped on the country between 1965 and 1973. 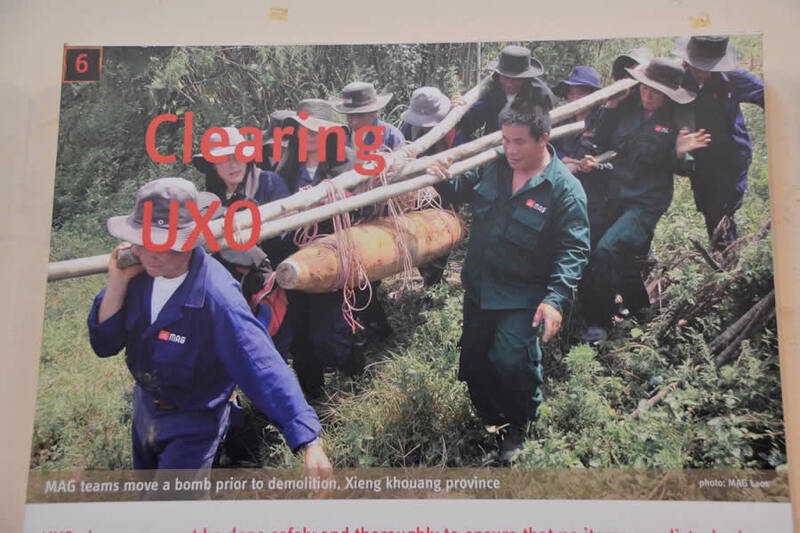 Posters there explain how UXO is cleared by male and female employees. It’s hard to imagine these raining from the sky – every eight minutes – for nine years. For a modest donation, you can pay to have a section of land cleared of UXO, paving the way for locals to safely farm there. We offered this service as a Christmas present to our parents, along with these t-shirts. 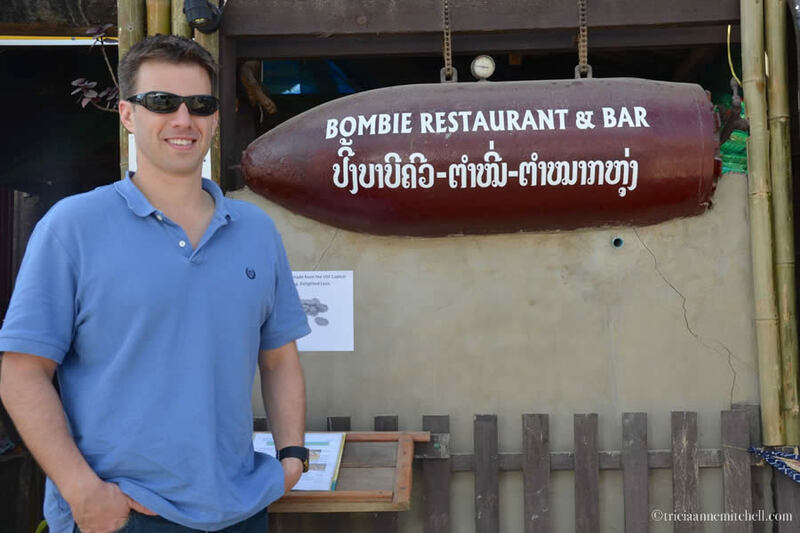 With names like Bamboozle, Bombie’s and Craters, Phonsavan’s restaurants feature themes related to the country’s unfortunate history. Bomb shells decorate exteriors alongside potted plants, and some restaurant interiors feature collections of ordnance found in the province. 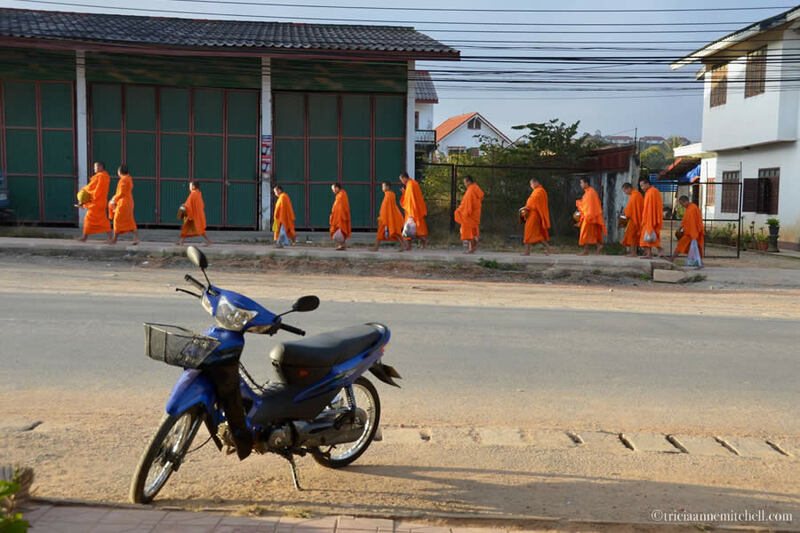 Phonsavan’s monks participate in an early-morning almsgiving ritual, collecting food given to them by residents. The act is intended to spiritually connect followers and the monks. 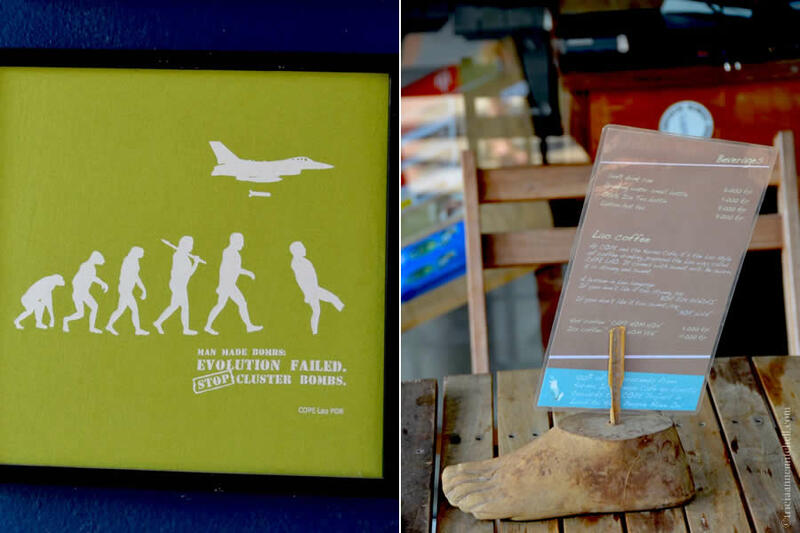 In Laos’ capital city, Vientiane, the COPE (Cooperative Orthotic & Prosthetic Enterprise) Visitor Center gives visitors an overview of the country’s struggle with UXO. 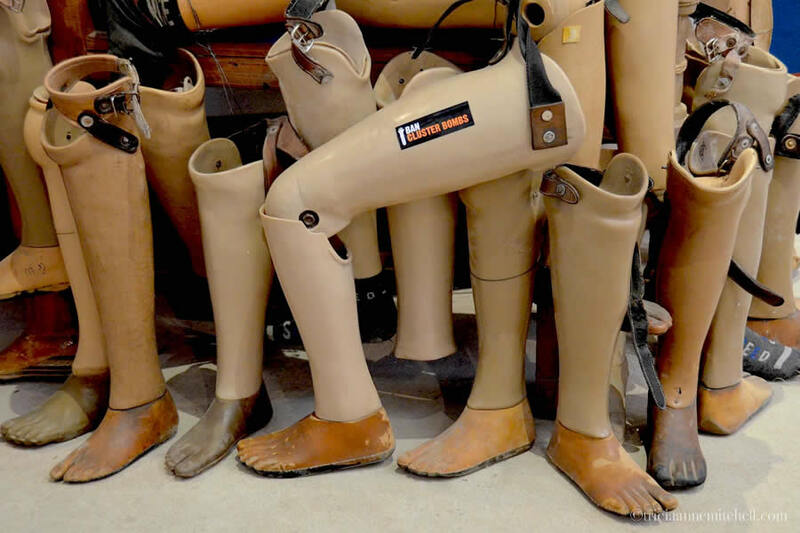 Displays showcase homemade prosthetic limbs, and documentaries further explain what’s being done to make a difference. In this picture, note the planter fashioned out of a halved bomb casing. 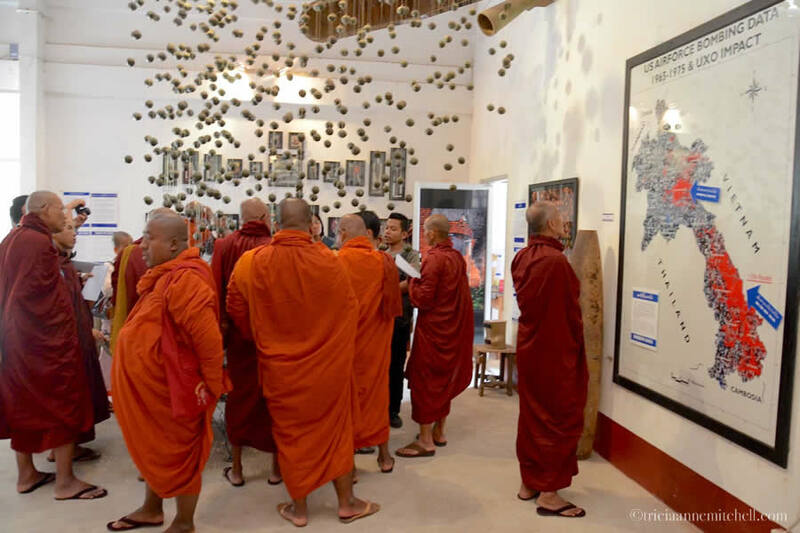 Monks visiting the COPE Center look at bombies suspended from the ceiling, as well as a map showing the extent of the bombing. 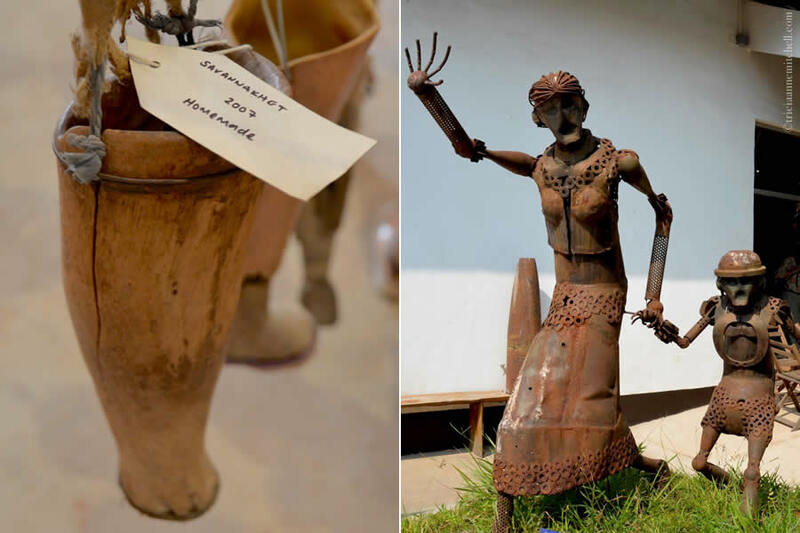 A homemade wooden prosthetic (left) and a sculpture of a mother and child crafted using bomb components. The COPE Center features a café (right), as well as merchandise for sale such as this t-shirt (left), reminding visitors of the horrors of cluster bombs. Over breakfast in Phonsavan, we met a team from the Japan Mine Action Service (JMAS) working to clear UXOs from the surrounding countryside. Using his limited Japanese, Shawn struck up a conversation with one of the employees, who kindly offered for us to visit one of their morning sessions, at which they were training to remove the landscape’s UXOs. 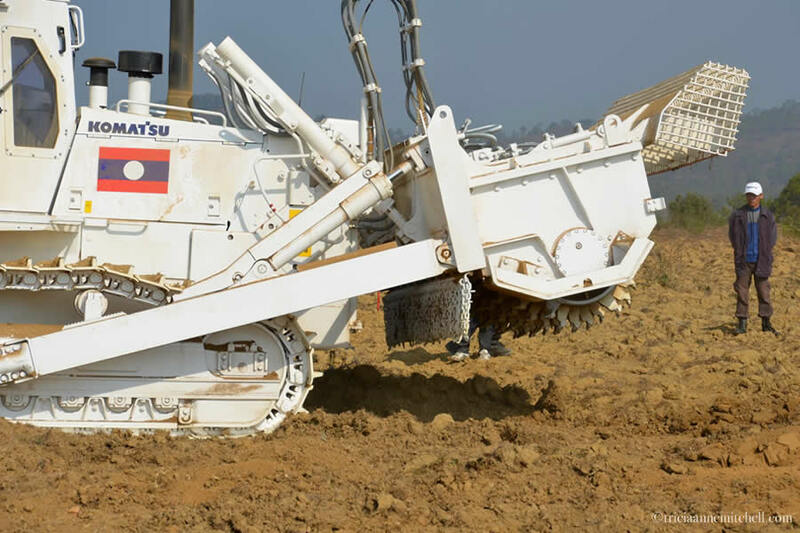 This million-dollar machine, made by the Japanese manufacturer Komatsu, plows through the soil during a test run. 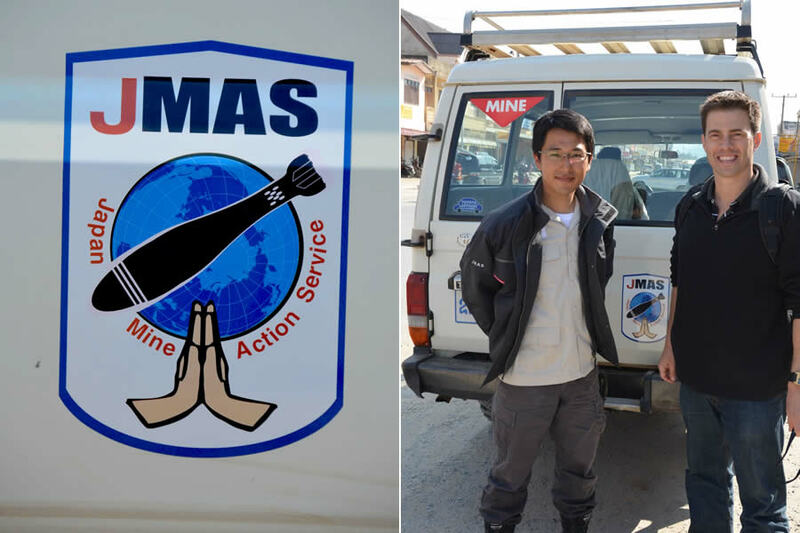 JMAS had used this vehicle to successfully remove landmines from the Cambodian countryside, but at the time of our visit, they were unsure how well the vehicle would work negotiating Laos’ different topography. Our JMAS host holds a model of a ‘bombie.’ Cluster bombs would contain about 300 of these handheld-size bombs, known informally as bombies. When the cluster bomb’s shell separated, its bombies were released, spreading across a wide swathe of land. The bombies exploded on their own, and in doing so fired miniature ball bearings up to 200 meters (600+ feet) in all directions when they hit the ground. The bombies were designed to kill, and tragically, still continue to do so four decades later. 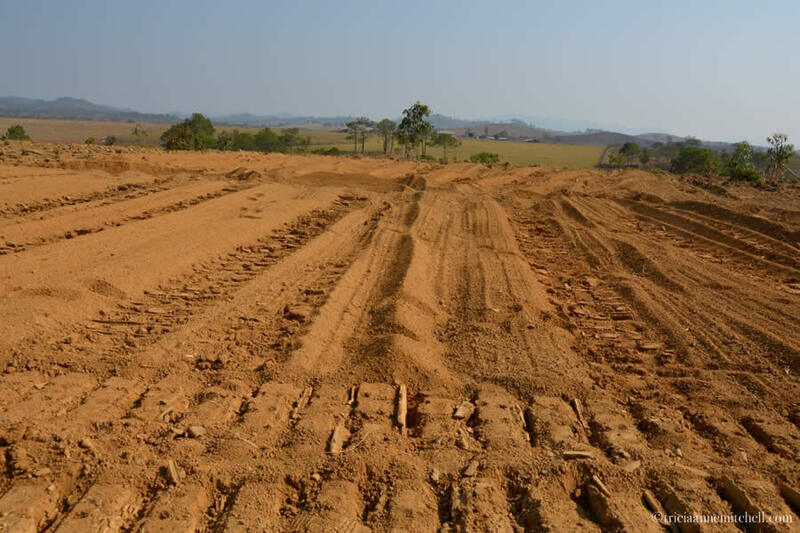 In addition to clearing land of deadly UXOs, an added benefit of the process is that soil is tilled and readied for agriculture. 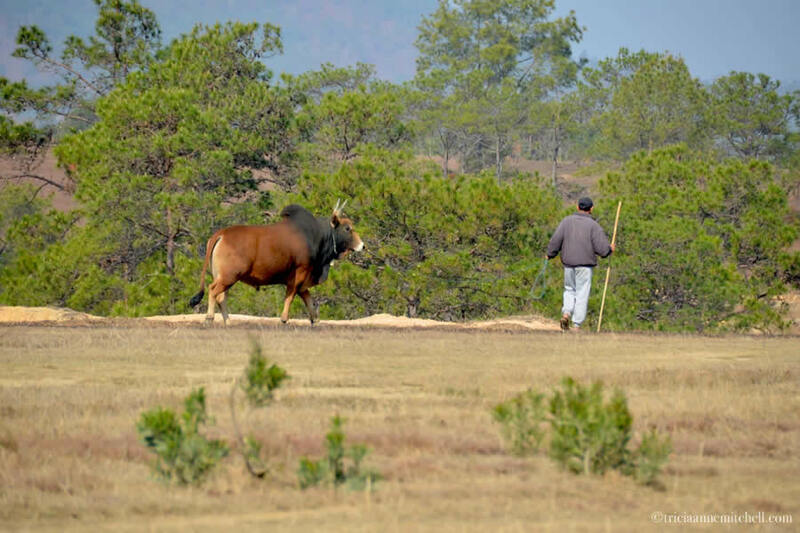 Hope for the future: A farmer walks with his livestock in a safe zone, not far from the JMAS testing site. 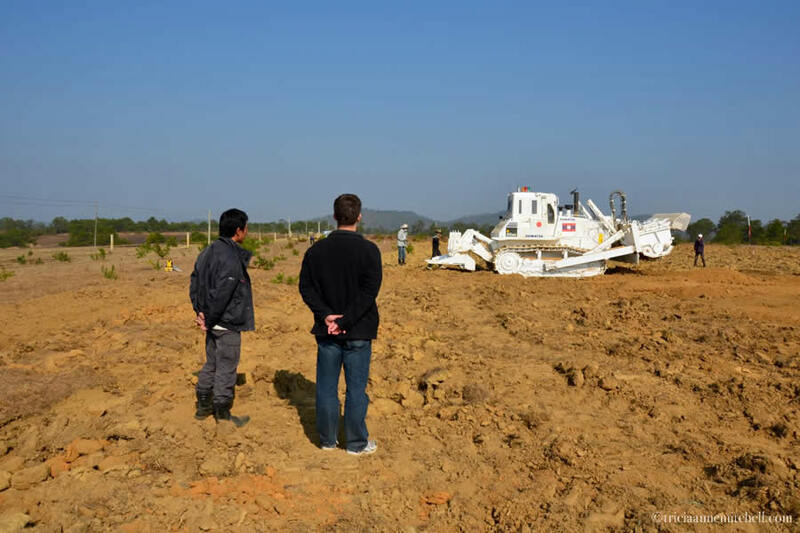 Several organizations work to help victims, and remove UXO from the landscape. COPE, for example, offers donors the chance to buy a prosthetic leg for $75 USD, even $10 developmental toys for children with disabilities. Or, for about $45 USD, the nonprofit organization, MAG, can clear 20 sq/m of land, making it safe for agricultural or community use. So far, more than 115 nations have signed the Convention on Cluster Munitions, an international treaty that addresses the harm caused to civilians by cluster bombs. In 2010, this Convention became binding international law. The United States, Israel, Russia, and China are among those countries that have not signed the Convention. The Cluster Munition Coalition is a global campaign aiming to eradicate cluster munitions. 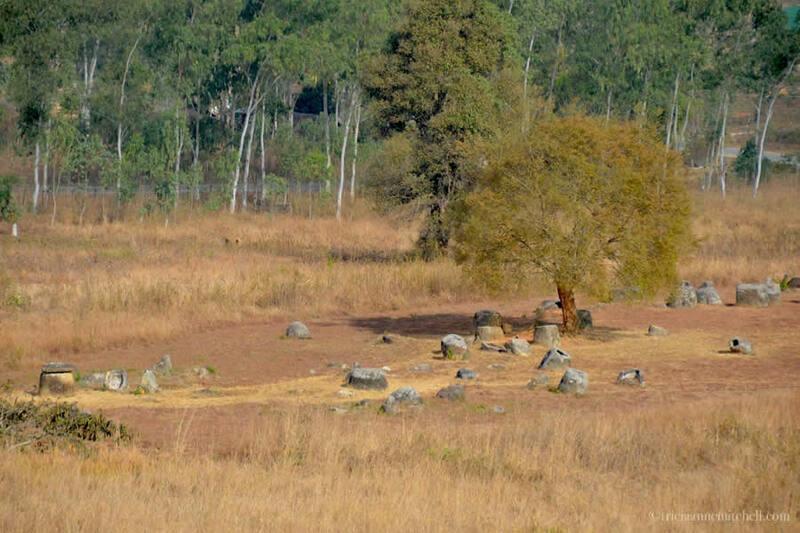 The Plain of Jars are located in northeastern Laos. The town of Phonsavan, where we stayed, makes a good launching point for exploring the various Plain of Jars sites. 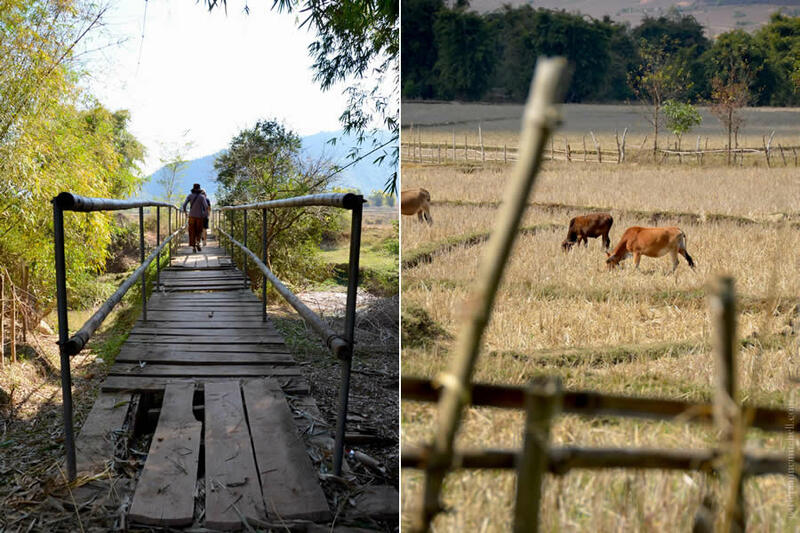 Phonsavan has a bit of a wild west feel in that it’s somewhat remote, but there are good basic tourist services there including tour operators, guesthouses and restaurants (Laotian, Western, and even Indian food). 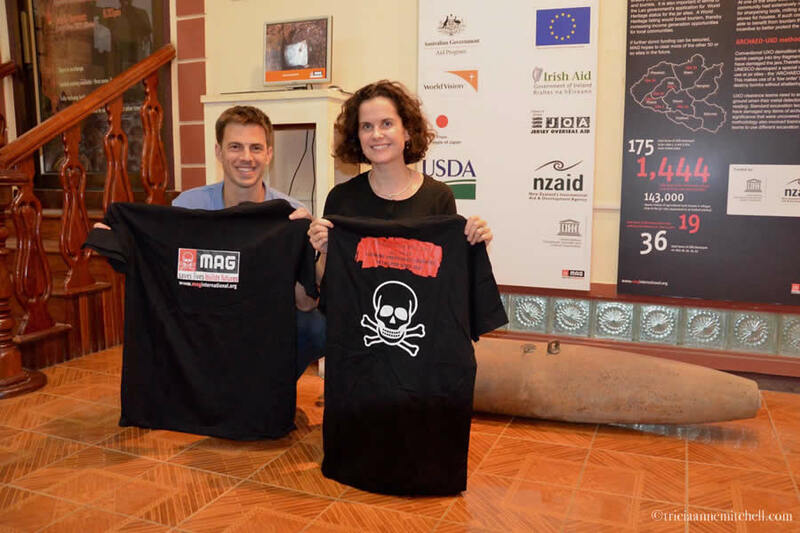 The Mines Advisory Group (MAG), which does noble work around the world to clear landmines, has a visitor’s center in Phonsavan that is well worth a visit. There is also a UXO Survivor Information Center (just two buildings away from the MAG Visitor’s Center) which has informational films, as well as handicrafts to purchase. The proceeds go to help UXO survivors. 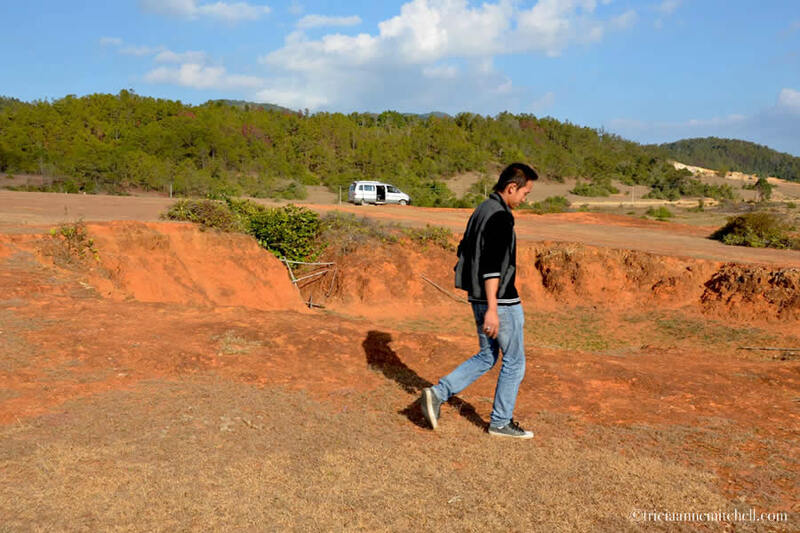 To get to Phonsavan, we traveled from Vinh, Vietnam. An early-morning bus took us close to the Laotian border, then we hired a driver to take us to the border. From there, we walked into Laos, and had the fortune of meeting a travel agent who was shuttling another passenger to Phonsavan. We hear that many visitors to Phonsavan avoid the country’s infamous curvy roads, and instead fly into the nearby Xieng Khouang Airport. 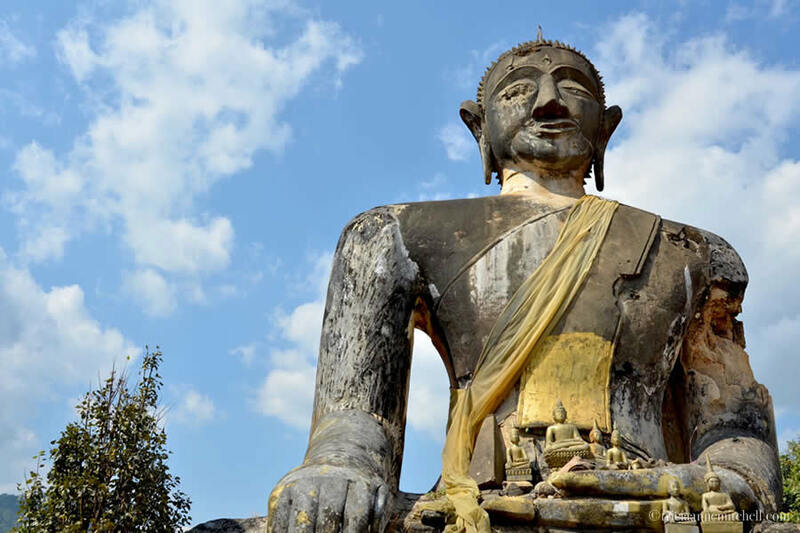 Buses also link Phonsavan to Luang Prabang, Vang Vieng, and the capital city, Vientiane. 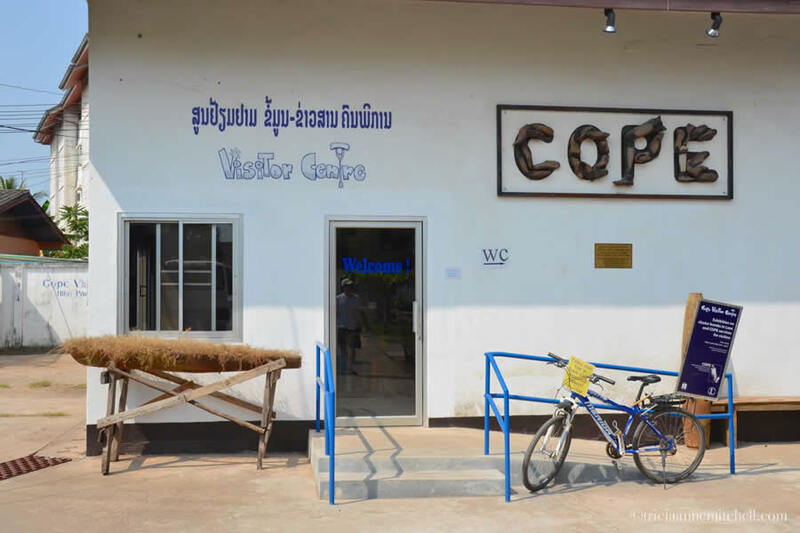 While in Vientiane, we found that a stop at the COPE Visitor Center was also a must to better understand the country’s battle with unexploded ordnance. 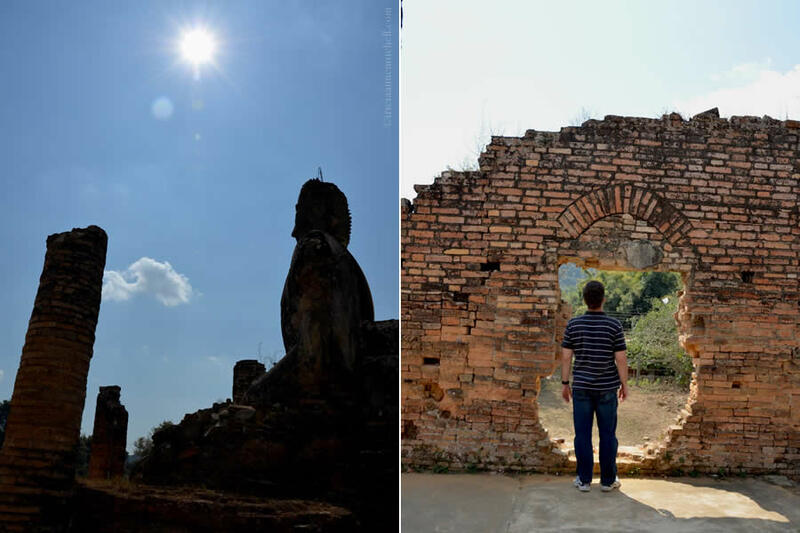 There’s more to do in the Phonsavan area aside from the Plain of Jars and UXO-related sites. We enjoyed visiting Mulberries Organic Silk Farm, a weaving co-op in the town’s outskirts. On several occasions, we also strolled Phonsavan’s outdoor produce market. Vong, a friendly Laotian employee at our guesthouse, who happens to teach English on the side, also invited us to come to his classes one evening. See the Highlights of Xieng Khouang website for more details. Need more inspiration? This link contains an index of all my posts from Laos. It is heartbreakingly beautiful to consider that from under the long shadow of war’s casualties can come a handful of spoons. Bespoke Traveler, brilliantly said. 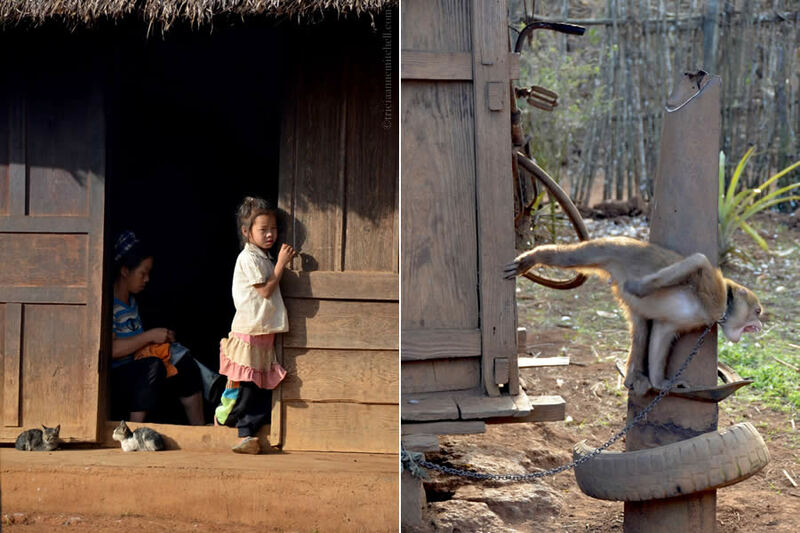 There is the hope that Laos’ future will consist of more creation, and no more destruction. Much work remains though. Thank you for your thoughtful comment. Just yesterday I watched a TV program on two British women driving the Ho Chi Minh trail from Vietnam to Laos. The scale of the destruction caused by the endless bombings was really mind-boggling. However, as I experienced myself, the Laotians are such resilient and friendly people. I didn’t make it to the Plain of Jars when I visited the country, but should I return one day I will make sure to pay it a visit. Bama, I couldn’t agree with you more about the Laotians being “resilient and friendly people.” Despite the fact that we are American and our government was responsible for so much destruction there, we were treated with kindness wherever we went. I do hope you’ll have the opportunity to visit the Plain of Jars someday. I’m also optimistic that the site will soon achieve UNESCO World Heritage status, as that would be so good for tourism! 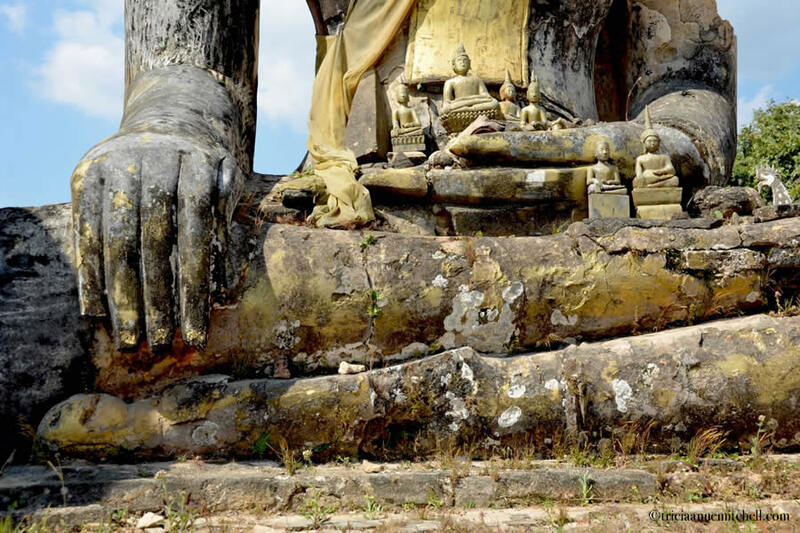 What parts of Laos did you visit? I went to Vientiane and Luang Prabang only. The fact that it was during low season helped me fall in love with the laidbackness of Laos. February is probably the end of peak season in Laos as it gets more humid and hot in March. Randall, that’s high praise coming from a talented photographer and writer; thank you very much. Of course, in this piece, I didn’t show Laos’ extraordinarily-beautiful places like Luang Prabang. We also found Vientiane to be a very manageable and interesting capital city. 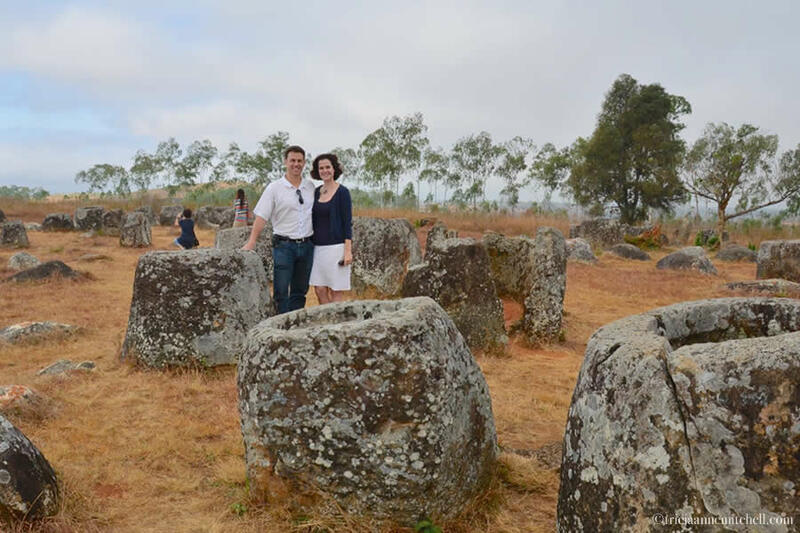 I’m curious – how long ago did you visit the Plain of Jars? Had MAG already done extensive UXO-clearance work then? Here’s hoping that for cultural and economic reasons the Plain of Jars sites will continue to be cleared and cared for. Getting UNESCO World Heritage status could be such a win for the area. Such an amazing place. We didn’t visit the Plain of Jars, which is one of the reasons I want to return :-) We hung around Vientiane and that area for 10 days ~ it was heaven. Incredible land and people… UNESCO is much needed and deserved. I trust you’ll make it soon then. :) Like you, I missed Xieng Khouang province my first time around, and so that’s why Shawn and I were determined to get there during my subsequent visit. Getting to the Laotian border from Vietnam was a bit of an adventure – walking with our luggage, trying to find someone to pay to drive us the final leg, riding in a van with a mammoth branch of bananas on our lap. 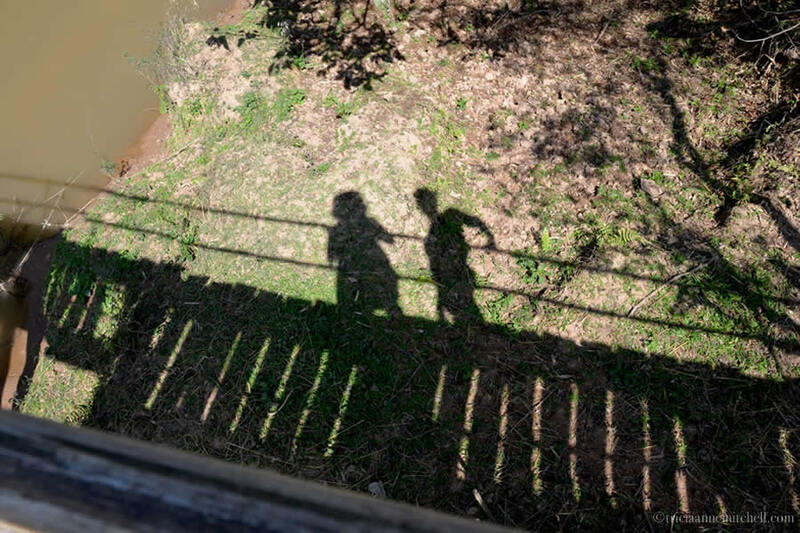 Eventually everything fell into place once we took the leap. Such is the magic of travel! That was very interesting. War is terrible. Gerard, I must confess that I only learned of the extent of the bombing in Laos in 2009, but I feel fortunate to have been able to travel there twice, and learn about this first-hand. I hope that this issue will continue to get more awareness so that the people of Laos can move past this horrific chapter of their country’s history. I too visited Laos in Jan/Feb, which is indeed the height of their season. I thought it was a beautiful country, reminding me of the phrase “the land that time forgot”. 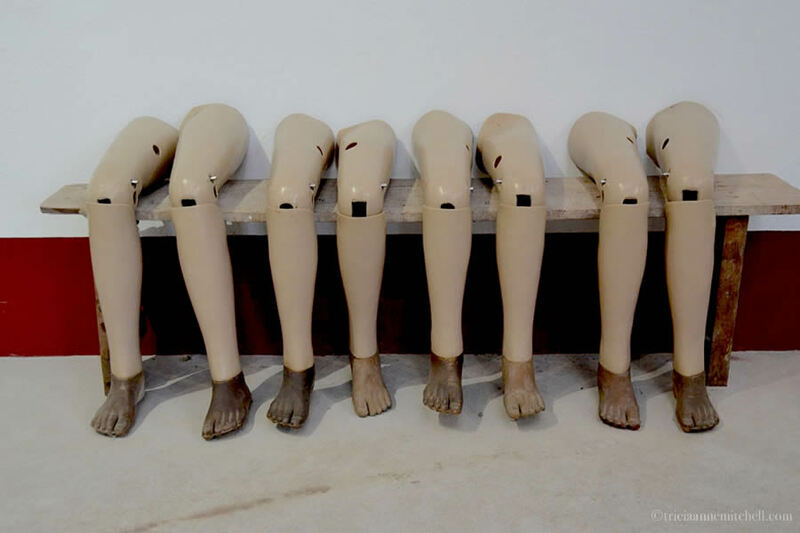 It was incredibly sad, and extremely mind-awakening, to see the many citizens who were missing arms or legs as a result of undetonated bombs which are still an issue to this day. How very sad and such a powerful reminder of the cost of war. Like you, we found the people friendly and warm, seemingly bearing no grudge toward us. BTW, I never heard about the field of Jars and didn’t visit it. Thanks so much for including it in your post. Terrific job on this one Tricia. “The land that time forgot.” I like that, Tina, and concur that the phrase complements Laos well. I’m guessing that you must have spent some time in Luang Prabang? I’d been to Laos about three years before Shawn and I made this return trip. 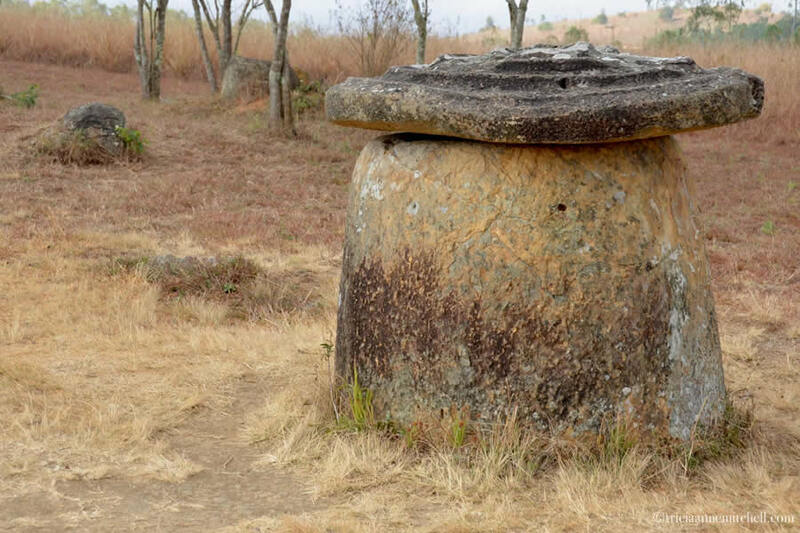 During my first visit, I learned of the Plain of Jars, and the province’s struggle to rid itself of UXO. 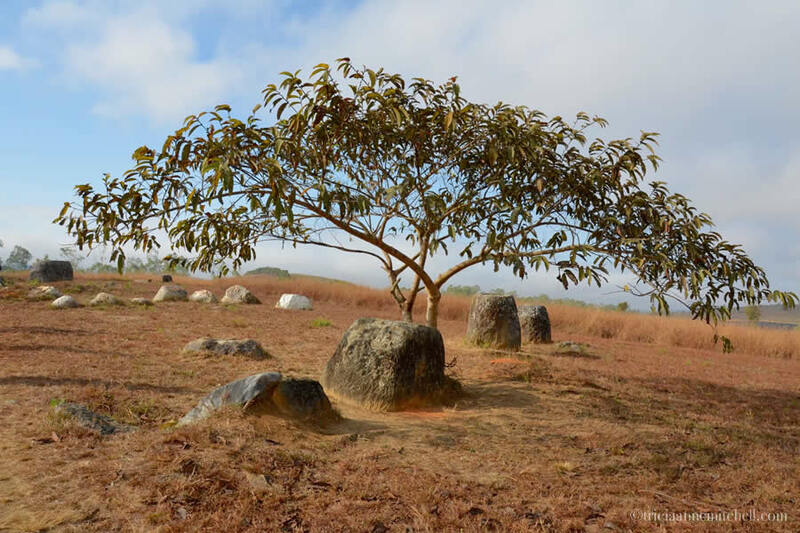 Shawn and I were in a more remote part of Vietnam when we became determined to go here, and our journey to get to the Plain of Jars was certainly more independent in that we weren’t on the traditional tourist route. I’m so glad that we did it though, as our week or so in Phonsavan offered some of the most powerful learning/life moments of our entire Southeast Asian trip. Thanks for your flattering, thoughtful comment, Tina. Hope you had a lovely weekend! Yes, we WERE on a tourist route and altho it was an excellent, private tour, our Laos stop was brief and centered around Luang Prabang. On the same trip we did Vietnam, Cambodia and Thailand. It was a month but not long enough ! Would love to go back one day. I like those kind of trips, for they offer a great introduction to a place’s highlights, and tempt you to come back for more select spots. Luang Prabang is one such place for me, as its temples are remarkable. Hope you have a lovely week, Tina! What an incredible experience. Thanks for sharing. 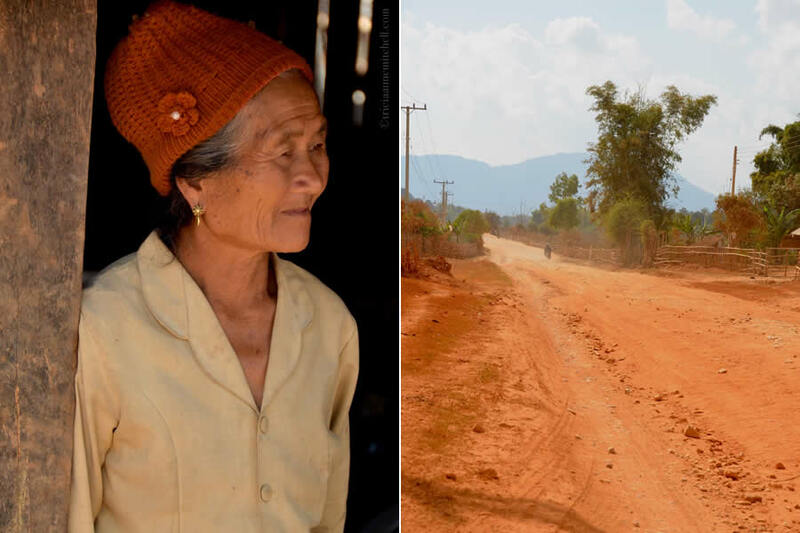 Darlene, indeed, it was a powerful experience seeing this region of Laos, and I’m pleased to finally share the details of our visit here. Thank you for reading. Cornelia, heartfelt thanks to you for your warm, reflective comment. One of the gifts of travel, as I’m sure you’d agree, is that it exposes us to new information. 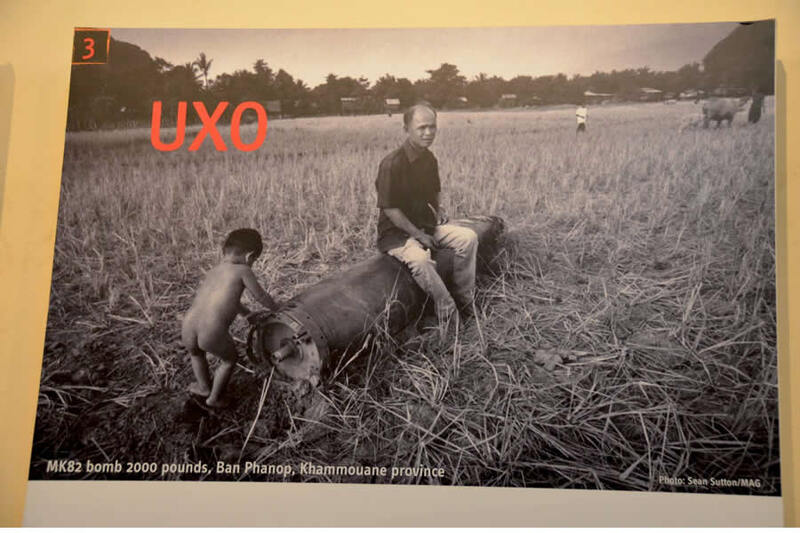 Like you, I didn’t know about the prevalence of unexploded ordnance (UXO) in Laos, until more recently. It took me going there in 2009 to learn how widespread the UXO problem is. I’m also grateful that it’s so much easier to share information now, thanks to new media. May you have a wonderful week, dear Cornelia! Thank you, Mark. It was no doubt inspired by great people and a special country. this is truly amazing trip…! architravelust, Indeed, the trip offered us a lot of lessons and interactions with inspirational people. I’d love to go back someday! Such an important post,Tricia. It’s maddening to see the destruction and consequences for these lovely people caused by our military. Our time in Laos was in Luang Prabang, but we did visit a small school along the Mekong north of LP and the school bell was a bomb casing hung in the window. The teacher called it “Nixon’s bomb”. A military friend of ours said that all fly overs were not to come back to Vietnam without unloading all their bombs and so Laos was the dumping ground. Horrible!! I was aware of the Plain of Jars but we didn’t get there. Hi Lynne, thank you so much for chiming in and sharing your experiences. We saw a great amount of war scrap repurposed into new uses in the Phonsavan area and beyond, but never a school bell. In 2009, I also visited a village not far from LP, following a ride on one of the longboats. I wonder if I visited the same village as you? We’ve also heard accounts that echo your comment about pilots unloading their bombs on Laos before landing.